Every state requires the use of car seats for young children. However, using a car seat doesn’t necessarily mean your child is safe; thousands of children are killed each year during car crashes due to improper installation or use of car seats. 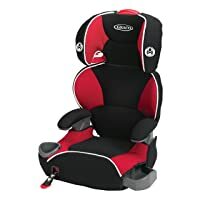 So, here are reviews of the best car seats for travel to keep your little one safe on the way to and from your summer vacation destination. For car travel, seats should be safe, comfortable, and installed properly. Before using a car seat on a plane, you need to be sure it’s Federal Aviation Association (FAA) approved. 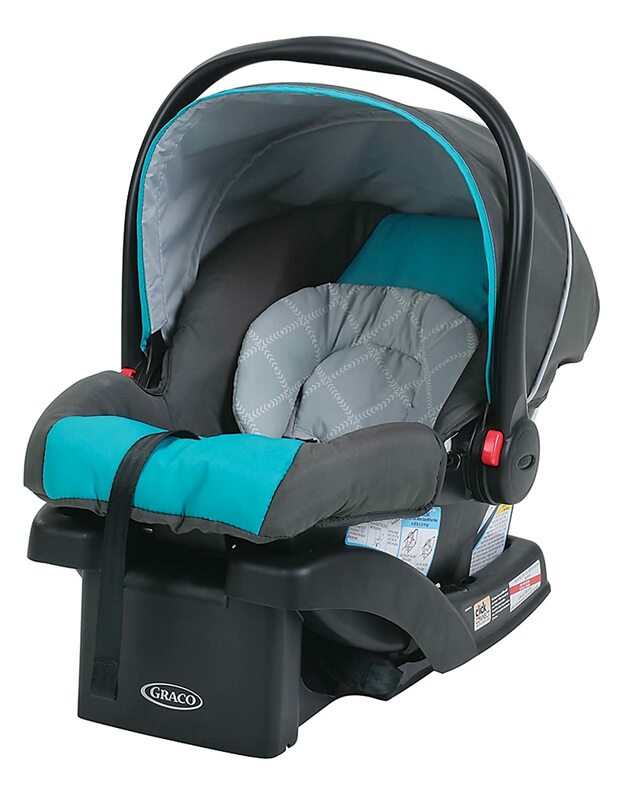 At only seven pounds, The Graco SnugRide is an ultra-light car seat that will protect rear-facing babies and keep them comfortable whether you’re going to the grocery store or across the country. 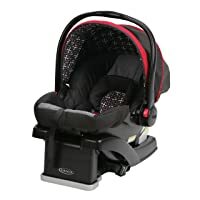 Also, it’s a great portable car seat for travel because it can attach to any Graco Click Connect stroller for ultimate mobility. Most importantly, though, it’s safe. Each Graco SnugRide must pass rigorous safety standards, which is one reason why it was the best-selling car seat from 2012-2014. Meets or exceeds all US safety standards and side impact tested for occupant retention. Has an adjustable five-point harness. Fabric may be too scratchy for newborns. Difficult to release from base. Designed with toddlers in mind, the Affix Youth allows young children to buckle themselves and begin practicing good safety habits. Rest assured that this travel car seat will remain secure because of its LATCH system and front adjustment that allows you to tighten the booster seat to your vehicle’s seat. Also, the seat’s headrest is equipped with multiple layers of fabric for a comfortable ride and it has several compartments for storage. Accommodates children up to 100 pounds. Converts to a backless booster seat for easy travel. Due to AFFIX, this car seat can be installed in seconds. Has energy-absorbing foam for impact energy management. Difficult to pull the seatbelt through the guide without it twisting. Headrest slides up and down. If you’re looking for versatility, the Evenflo Big Kid AMP is the only portable car seat for travel you’ll need. 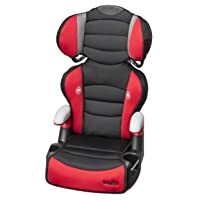 Rear-facing, it can accommodate little ones who weigh up to forty pounds and then convert to a front-facing booster seat for kids up to 110 pounds. Also, it is unmatched in safety because it exceeds all federal standards and reduces the impact of a crash by 50%. The Evenflo brand is the leader in safety and this travel car seat is the best in comfort, ease, and safety. 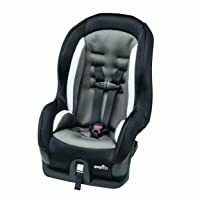 Top rated in car seats. Can be installed in less than a minute. Padding comes off to be easily machine washed. Has an expandable drink holder that offers easy access to beverages. Bulky and difficult to clean. 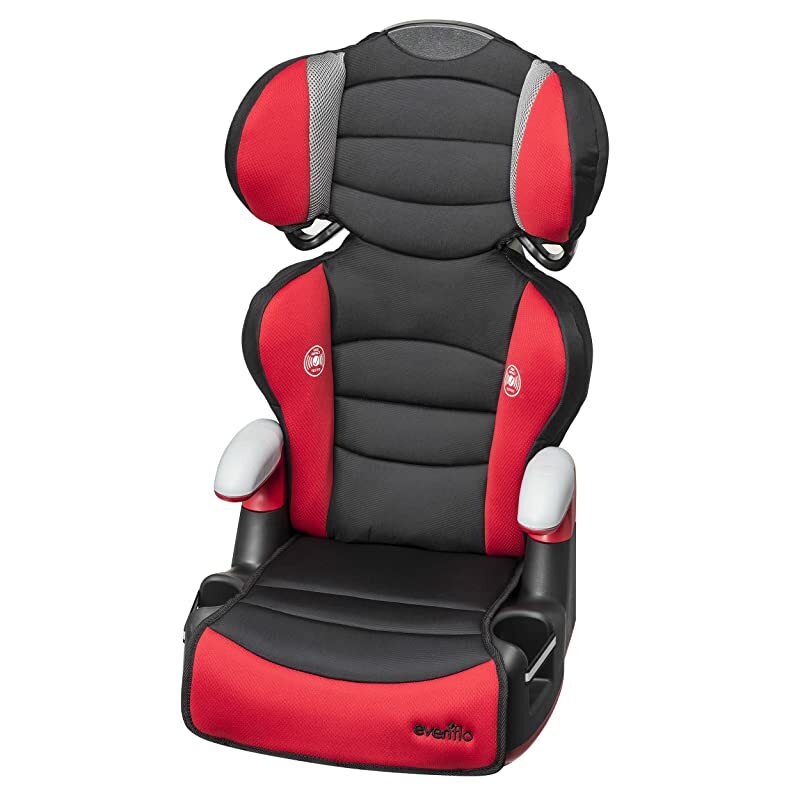 Though it has multiple reclining positions, child’s head may still fall forward. 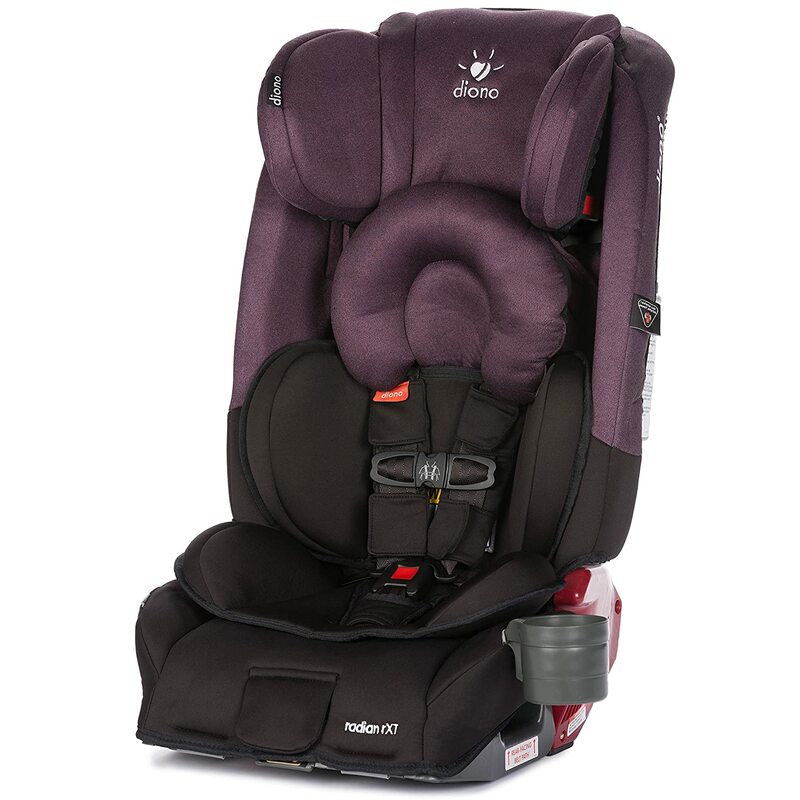 Part of the Graco SnugRide family, a trusted name in car seats, the SnugRide Click Connect 30 LX offers many benefits that make it top-rated. It’s lightweight, easy to carry, and a great option due to its secure five-point harness and energy absorbing foam that will protect baby in the event of impact. Also, it has a sunshade and a removable head support. This is a rear-facing seat that will accommodate up to thirty pounds. Easy to use with a Click Connect stroller. The base is difficult to install properly. The Tribute Sport is both a rear-facing and forward-facing car seat for kids up to forty pounds. For ultimate safety, this portable car seat is measured against Evenflo’s Test Standard for Structural Integrity, which uses energy levels two times higher than those required to ensure a car seat meets Federal Safety Standards. Additionally, it’s lightweight, compact, and has adjustable buckles for comfort. Easy to install and great for planes or UBERS. Transporting it is a breeze. Cushy padding for comfort during long trips. Some users find it difficult to tighten. The Diono Radian RXT is the best folding car seat for travel available because it folds flat for easy transport and it converts from an infant car seat to a booster seat for kids up to 120 pounds. The Diono Radian is great for families with multiple children because its sleek design allows three to be placed side-by-side in a midsize (or larger) vehicle. Comes with a travel bag for easy transport and storage when in the folded position. Energy absorbing EPS foam for impact. Complicated and hard to follow instruction manual. Before purchasing a portable car seat for travel, please keep in mind that there are several things you should look for in a car seat. Installation – Your vehicle’s owner manual will tell you how a car seat should be installed (LATCH or belt) and you can purchase one accordingly. If you’re unsure, a certified Child Passenger Safety (CPS) technician in your area can help you install it properly. Height and Weight Specifications – Make sure the car seat you’re purchasing will work for your child’s height, weight, and age. Also, you can opt to choose a seat that converts from a car seat to a booster seat for longer use. Space – Measure the backseat of your car for the best fit possible. Belt Path – If you’re installing the car seat with the belt, check the belt path and make sure the car seat won’t move more than one inch when wiggled side to side. Security – If possible, choose a seat with double retainer clips so they can’t be unfastened by the child. Harness Adjustment – Make sure it is tightened and slide it so it is level with the child’s underarms. Improper positioning makes the car seat less effective in the event of a crash. Easy Clean Up – While this isn’t required, spills and accidents happen so choosing a seat with easy to clean fabric is a great idea. With so many options in car seats, it can be overwhelming to choose one that is best for you and your family. Fortunately, our guide takes the guesswork out of shopping for a portable car seat for travel and provides you with excellent options. That way, you can spend less time on the computer doing research and more time traveling. So, pack up and hit the road with peace of mind that your little one will be safe – the world awaits! Photo & Video credits: Amazon, Everyday Anyway, AIRBOYD, CloudMom, Reviews_and_more, Clueless Dad, fitfortwotv.